I found this lamp already painted white AND with the drum shade…at the thrift store. It was tall and slender and distressed in all the right places. Here’s how it looked before I fancied it up with some black dandy damask fabric, turquoise ribbon and a little hot glue. What did you fancy up this weekend? did you cut just one continuiing piece of fabric? I love the contrast between the dark shade and the lighter edging – it looks great! I love that!! Great job!!! I love the black and turquoise! I am getting ready to redo my bedroom in those colors! 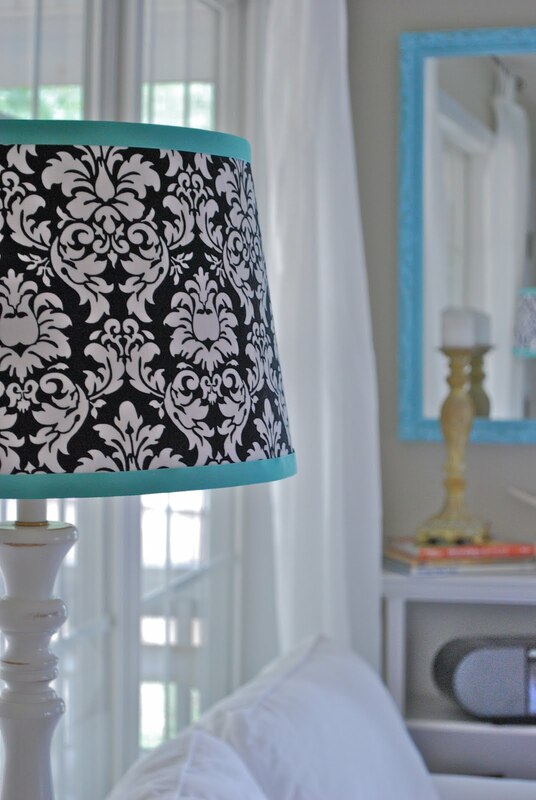 I love the black and white damask with the turquoise trim. Great job! This weekend I was supposed to redo two lampshades in my bedroom and I totally chickened out. Did you apply the fabric on top of the existing fabric or did you strip it down to the wiring? LOVE IT!!! White,black and turq is my new color palette….can't get enough of it! awesome! GUESS WHAT I DID?! I finally finished my slipcover! I can't wait to get your opinion (considering you were the one that inspired me to give it a try) Come check it out! I LOVE it.. great choice of ribbon color !! Could you do a lamp shade tutorial ? I LOVE this! I have used cute paper to make a lampshade, but I'm eager to try using fabric to dress one up! 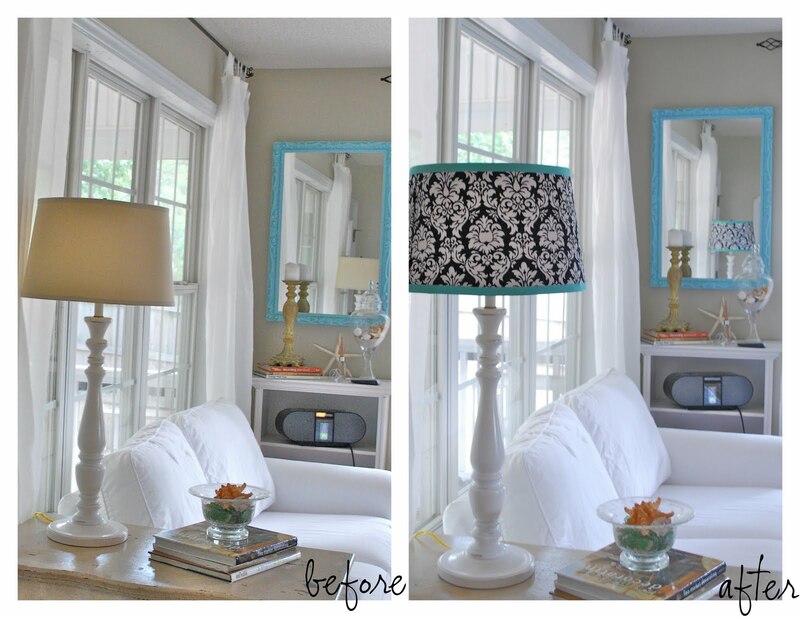 I'm stopping by from DIY…love the lamp, a fabulous job on it! That is stunning! I love the color combination. Thanks for the idea!